When we first start practicing Zen meditation, there is this voracious curiosity to learn more about this fascinating philosophy. Luckily, there are several books that explore this vast subject in great detail. 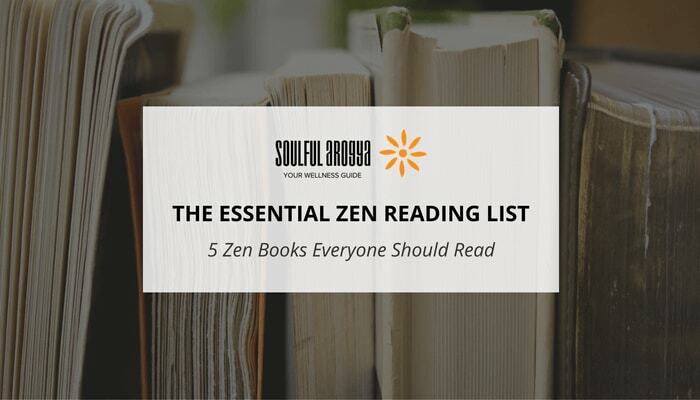 In this article, we’ve listed down our 5 favorite Zen books which should be read by anyone who’s passionate or wants to learn more about Zen. Peace is Every Step is considered one of the best Zen books of all time. The book contains mindfulness advice by one of the greatest authorities on Zen, Thich Nhat Hanh. It is full of useful guidelines and principles for leading a mindful, peaceful life and helping those around you do the same. What’s truly wonderful about this book is that the author has lived by these guidelines and principles all his life. Exiled from his native country Vietnam for his participation in the peace movement, Thich Nhat Hanh has since lived in France. He is revered around the world for his teachings and writings on mindfulness. 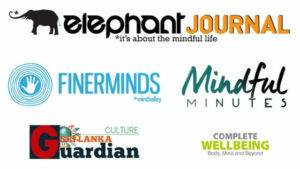 Though he has authored several books on Zen and on the life and teachings of the Buddha, Peace is Every Step deserves special mention in this list because it presents mindfulness principles in the context of everyday life. Thich Nhat Hanh acknowledges the sorrows and challenges of modern life, but draws our attention back to the power of the present moment. Truly a remarkable book which is a must-read for those who’d like to learn the basic principles of Zen. Possibly the most recommended Zen book these days, Zen Mind, Beginner’s Mind is a compilation of talks given by Shunryu Suzuki, a renowned Zen master from Japan and the founder of San Francisco Zen Center. While practicing Zazen meditation, it’s important to approach the subject with a beginner’s mind. And that is the idea Suzuki presents in an eloquent style while demystifying a complex subject like Zen. Suzuki provides helpful and thought-provoking truths about meditation for anyone who wants to lead a more mindful life. Alan Watts saw Zen as “one of the most precious gifts of Asia to the world” and in his groundbreaking book, he introduces Zen philosophy to the world. If you’ve ever wanted to learn about the history of Buddhism and Zen, this is the book you should read. Watts effectively outlines the history of Buddhism, its roots in Vedic philosophy and its travel through China to Japan. He also covers the influences of Confucianism and Taoism on Zen and moves on to the growth of Zen monastic tradition. Like Zen itself, Alan Watts’ style is simple, straightforward and devoid of unnecessary jargons. Zen reading list would be incomplete without a book containing the teachings of the Dalai Lama. This book is a series of interviews and meetings between Dr Howard Cutler and the Dalai Lama, as His Holiness explores many facets of everyday life, including relationships, loss, and the pursuit of wealth, and illustrates how one can ride through life’s challenges and obstacles to lead a more peaceful, mindful life. The Dalai Lama discusses in detail the concept of happiness and how happiness is determined by one’s state of mind than by one’s external conditions and circumstances. A Zen classic by Philip Kapleau, The Three Pillars of Zen explores three main tenets of Zen – teaching, practice, and enlightenment. This book was published way back in 1965 and was one of the few books at the time to examine Zen as a way of living rather than a philosophy. Though not as comprehensive and detailed as other books in this list, Kapleau’s passion for the subject and his enthusiasm to share insights on Zen is remarkable. So these are the books we’d recommend to people who are interested to learn more about Zen. What books would you recommend? Do you have a favorite which we missed out in this list? Let us know in the comments section. This is a lovely list. Glad to have read the 1st and 4th book on it. If we can figure out that happiness and peace are a result of what we experience from within, we will live much calmer lives. Adding the books I haven’t read to my TBR list for 2017. Thanks, Vishal. Hope you enjoy the remaining books in the list. ?